You would hardly know it from the paltry coverage in mainstream Australian media, but China’s President Xi Jinping moved himself into pole position on the world stage last week with an uncompromising speech supporting globalisation, free trade and action on climate change—a reassuring contrast to the rhetoric of President Donald Trump. Xi was the first Chinese president to address the World Economic Forum at Davos; his near hour-long address was both timely and pointed, countering the wave of populism that has been sweeping the West. Do Trump’s railings against China pose a threat to global economic stability? It is true there are worrying conflicts between the new US administration and China, and all are potentially damaging to Australia. The most likely—and potentially the most serious—is a trade war. 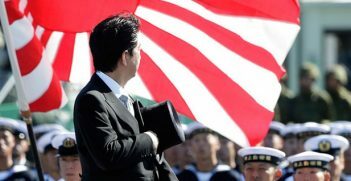 The others are an armed conflict in the South China Sea over the Chinese establishment of military bases, a fight over Taiwan, ongoing aggravation between Beijing and Tokyo and aggression by North Korea. Despite the rhetoric, I believe Trump intends to resolve Washington’s problems with Beijing through negotiation. Trump has no appetite for war. While media attention has focused on a possible deal on nuclear arms reduction with Russia’s president Vladimir Putin, a bigger goal will be a deal with China. Like him or not, Mr Trump is a transaction politician. He intends to use trade as the US weapon against China because it is disruption of free trade that China fears most, as was clear from Xi’s Davos speech. Using trade as a weapon against China is the recommendation of the president’s new trade advisor, economist Peter Navarro. Attempts to achieve peace through military strength can often backfire, Mr Navarro believes. He rejects the arguments of US military hawks who believe America’s immense firepower and naval strength can prevail. In a 300-page analysis in Crouching Tiger: What China’s Militarism means for the World, Mr Navarro argues that while China’s military capabilities may not yet match the Pentagon’s, it already has sufficient strength within its own geographical sphere to inflict substantial damage to the US. Navarro also cites more primitive methods available to China for scaring off US naval vessels that might intrude into territory in the South China Sea which Beijing considers its own, by laying thousands of mines capable of sinking warships. But these are no ordinary mines—they are designed to detect the difference between a military vessel and a merchant ship, allowing normal sea trade to continue while providing an extreme hazard to unwanted warships, including Australian submarines. Some of China’s most effective vessels have been adapted from commercial imports. Navarro chronicles how AMD, an Australian company, sold catamarans to China as ferries, and was then persuaded into a joint venture which produces high speed variants capable of carrying two cruise missiles. How ironic if one of these blew up a RAN ship sent to provide support to a US patrol. He describes how Russian military planes have been bought and re-engineered to be more deadly attack aircraft. If he takes Mr Navarro’s advice, President Trump will seek to win a better deal for American companies in China and cut taxes for US corporations, but avoid a tariff war. Yet Trump knows, just as Xi put it in his Davos speech, that there can be no winners in a trade war. He almost certainly agrees with the Chinese leader on globalisation, whose clever metaphor described protectionism as akin to “locking oneself into a dark room”, keeping out “light and air” as well as any potential dangers. Xi seems prepared for a showdown with Trump, but both sides seem to be retreating from some of the most aggressive rhetoric. As senior Trump aide Anthony Scaramucci was despatched to Davos to calm widespread speculation of an imminent US trade war with China. He did this by attempting to explain the difference between what Trump says and what he means. It is wrong to assume Trump is against free trade; he wants trade deals to be “symmetrical”, not “asymmetrical”, Scaramucci told the Davos crowd. Translated into plain English, that means ‘fair to both sides’ or, in Trumpian terms, ‘of benefit to Americans’. Mr Xi anticipated Trump’s move by becoming this year’s Davos celebrity and winning applause for his speech. This also coincided with an important announcement by China’s State Council (ignored by the Australia media) that it would further open the country’s infrastructure, mining, services and technology sectors to foreign investment. 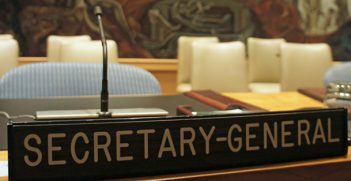 These are among the main demands made in 2016 by the US and other countries, including Australia. Xi also said that China would import US$8 trillion (AU$10.58 trillion) worth of goods and services in the next five years and invest US$750 billion outside the country: US$150 billion more than previous estimates. Another indication that President Trump aims to negotiate rather than confront President Xi lies in his choice of the new US ambassador to Beijing. 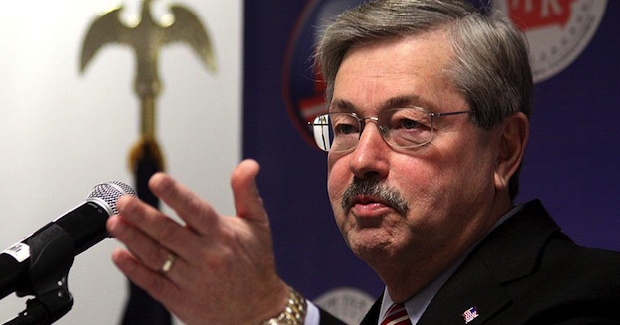 Terry Branstad, the former governor of Iowa, is regarded by Mr Xi as “a great friend of China”. Xi has kept in touch with him since, as a young agricultural officer from Hebei province, he visited Iowa on a home stay. Together with the sentiments expressed by Mr Xi at Davos, this suggests you cannot rule out the possibility that the world’s top two economies will find a way of working together. Colin Chapman is a writer, broadcaster and public speaker, who specialises in geopolitics, international economics and global media issues. He is also the immediate past president of the AIIA in NSW. 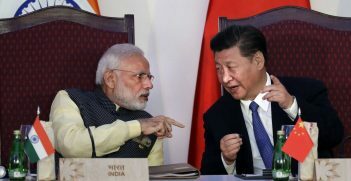 Indian Prime Minister Narendra Modi’s announcement that he plans to visit China for an informal summit with President Xi Jinping is part of a reset strategy that New Delhi has embarked upon in recent months.